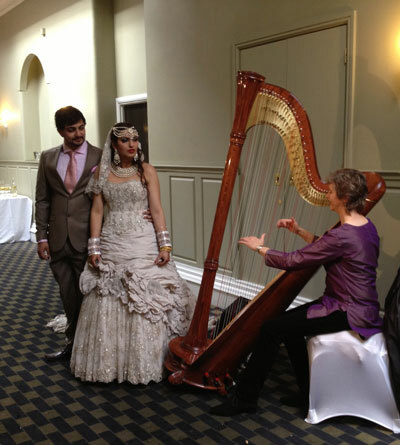 Mary specialises in performing Bollywood music for Asian weddings and events on the harp and has taken the time to add this genre to her varied repertoire. 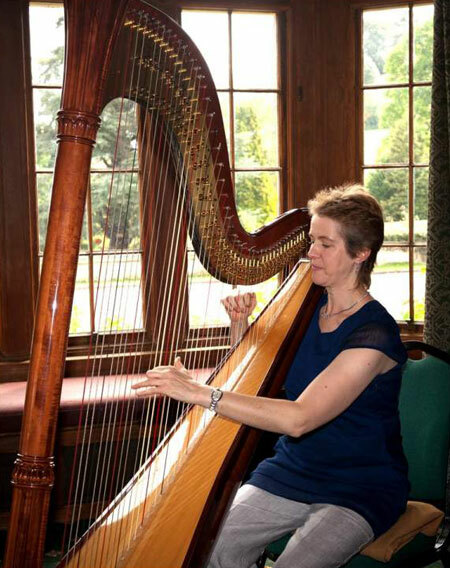 This Bollywood harpist studied the harp and Celtic harp at the Royal Scottish Academy of Music and Drama with Sanchia Pielou, a founder member and principal harpist with the BBC Scottish Symphony Orchestra for fifty years and regarded as the 'doyen' of the harp in Scotland. 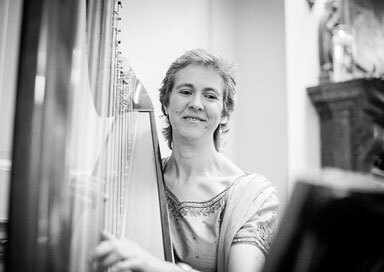 After winning the subject prize for harp and earning a glowing report in the Governors' Recital Competition, she graduated in 1984 with a BA in Music Performance. After highly acclaimed performances of Mozart's Concerto for flute and harp, A Ceremony of Carols, (Britten's solo harp and choral work), and programmes of Opera with the RSAMD's drama department, she went on to perform Ravel's Introduction and Allegro for harp, flute, clarinet and string quartet. This was immediately followed by an invitation from Scottish Ballet to join the orchestra as principal harpist in 1985. She is happy to play at events with up to 200 guests and can provide an amplifier suitable for this number. If you have more than 200 guests then she can be booked to perform in the foyer or entrance as guests are arriving. Please appreciate that she doesn't play her harp outdoors, so an outdoor ceremony wouldn't work for her. However, for your drinks reception she could sit just inside open patio doors and use her amplifier, depending on the layout of the venue.